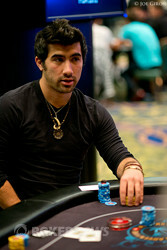 Jesse Sylvia is no stranger to performing on the highest platforms in poker. Just a few months ago, he entered the World Series of Poker Main Event final table as the chip leader and went on to turn that into a second-place finish worth $5,295,149 after losing to Greg Merson. Here in the 2013 PokerStars Caribbean Adventure Main Event — the second largest major event on the poker schedule every year — Sylvia is still alive as the field works its way down to under 100 players. Hailing from Massachusetts, Sylvia considers himself a professional poker player and currently resides in Las Vegas. Upon initially moving to Las Vegas, Sylvia roomed with fellow WSOP Octo-Niner Russell Thomas. The two of them had dinner together throughout the WSOP Main Event before stretching their runs all the way down to the final table. Prior to making the WSOP final table, Sylvia had $58,478 in live tournament earnings. 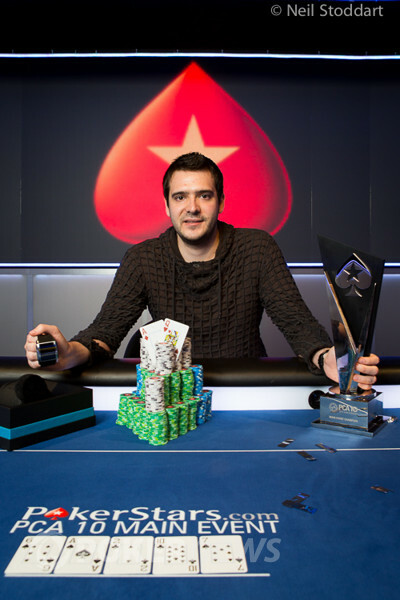 He almost increased his live winnings by cashing in the World Series of Poker Europe Main Event, but became the exact bubble boy. Since his big finish at the WSOP, Sylvia hasn't cashed in any live tournaments — until now. The $1,859,000 that's up top for the winner here in The Bahamas isn't quite as much as he won in Las Vegas, but we're 100% sure Sylvia won't have any problem adding it to his bank account. He's still alive, but floating below average, and we'll be keeping a close eye on him as he continues his quest.